Aristocats Dog Boarding Kennels and Cattery is a family run business with over 30 years of commitment and experience. We are based in the Manchester green belt between Walkden and Swinton at Wardley Grange Farm close to Worsley. We have just 18 dog units and in a separate area 13 cat units therefore can offer individual care to all animals boarded with us. We offer boarding for cats and dogs all year round. The facilities are licensed & inspected annually in accordance with the latest government legislation. We have vets on 24 hour call in the unlikely event they are needed. 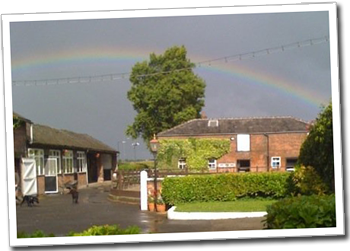 Aristocats Boarding Kennels and Cattery is just twenty minutes from Manchester airport and is a short drive from the M60 and motorway network at Worsley junction. Your pet’s inoculations must be up to date. The vaccination against kennel cough is also recommended for all dogs boarded but must be given at least two weeks prior to your dogs stay.